Thanksgiving is a good time to acknowledge the people, pets and other things in our lives for which we are thankful! I am thankful for my family, including the members with four legs. I’m thankful they have a healthy appetite, are curious about their surroundings and are devoted companions. It is these wonderful personality traits that lead them to the veterinary hospital for an unplanned visit on Thanksgiving. To keep your pets healthy this holiday season I have come up with a few pieces of advice. Keep potential foreign bodies out of reach. Anything an animal ingests, that is not digestible, is considered a foreign body. This includes the string used to tie the turkey legs, a large piece of bone or seasonal decorations (among many other things). It often requires surgery to remove a foreign body from an animal’s intestinal tract. String, or a linear foreign body, is especially damaging to the intestinal tract and can be life threatening. Do not give your pets rich or fatty foods. 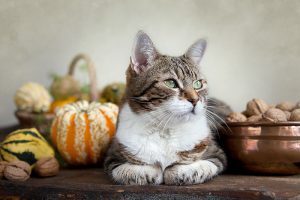 Dogs and cats can get pancreatitis or gastroenteritis from eating greasy turkey skin, giblets or anything out of the ordinary, especially if they are not used to eating anything but their kibble. They do not need your leftovers or a special holiday treat. Ask your guests to refrain from feeding your pets as well. Keep your pet out of the holiday chaos. Some animals love being the center of attention but can get underfoot and in the way. Other animals just want to hide when the house is full of people. Consider your pet’s temperament and find a solution that fits them individually. For shy cats, make sure they have food, water and a litter box in a quiet bedroom. For social dogs, provide them with a dog bed or blanket in a safe spot, so they can be nearby but not underfoot. Knowing the signs of illness can alert you to when your pet needs medical attention. If your pet develops any of these symptoms, contact your veterinarian immediately: loss of appetite, vomiting, diarrhea, lethargy, foaming at the mouth, and sudden listlessness. This is not an exhaustive list of symptoms and you know your pet best. If you notice any unusual behavior, err on the side of caution, and call your vet. Figure out which nearby veterinary hospitals are open for emergencies on Thanksgiving. Hopefully if you are prepared for an emergency, you will not have one! For more Thanksgiving pet safety tips call Dr. Susan Barrett at Watt Avenue Pet Hospital in Sacramento 916-482-4084. 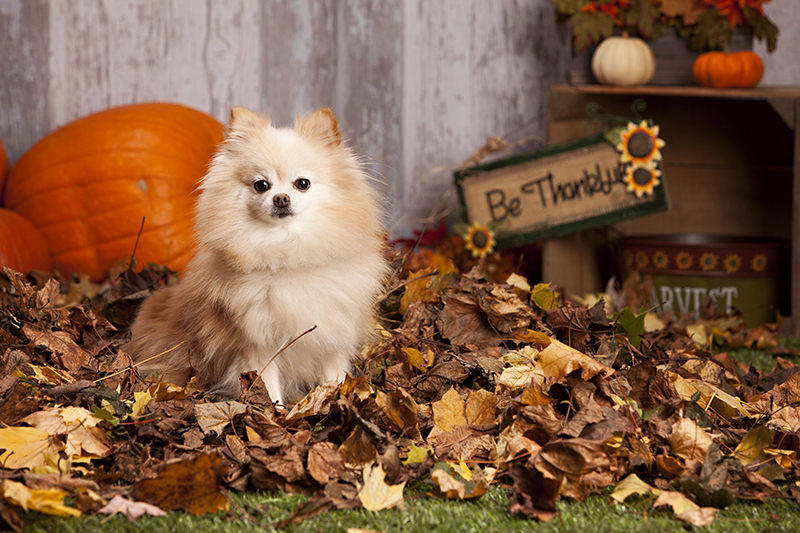 Have a wonderful Thanksgiving with your pets, family and friends. I hope my advice gets you through the holiday without a problem, giving you one more thing for which to be thankful!